The $300-million contract may be cancelled, but the saga of Whitefish Energy’s involvement with restoring Puerto Rico’s grid is far from over. On Monday, the Wall Street Journal reported that the Federal Bureau of Investigation is looking into the mega contract signed between a two-person Montana firm and Puerto Rico’s beleaguered utility. The news follows a tumultuous Sunday for Whitefish starting with the Puerto Rico’s governor saying he would like to end the contract. “As a result of the information that has been revealed and the need to protect the public interest, as governor I am asking the power authority to cancel the Whitefish contract immediately,” Governor Ricardo Rossello said in a news conference. Shortly thereafter the head of PREPA, Puerto Rico’s utility that inked the deal, did just that. 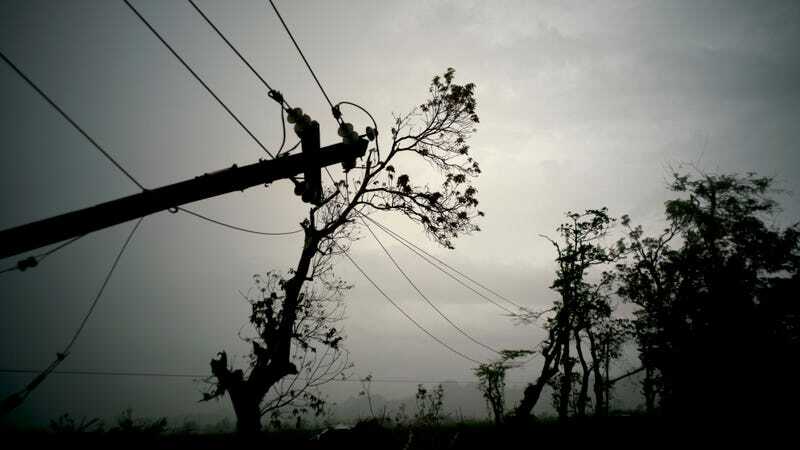 The no-bid contract to restore power to the island ravaged by Hurricane Maria came under scrutiny almost immediately after it was announced less than two weeks ago because it stank to high heaven. Whitefish CEO Andy Techmanski’s relationship with Interior Secretary Ryan Zinke, the company’s very short resume of previous experience, and sketchy clauses in the contract limiting accountability were among a handful of the concerns raised by outside observers. Zinke and Whitefish’s CEO have each said the secretary had no involvement in the contract or helping the company secure it. FBI agents from the San Juan field office are looking into circumstances surrounding the disaster-recovery deal the public-power monopoly known as Prepa signed with Whitefish Energy Holdings LLC, according to three people familiar with the matter. Before the FBI decided to get involved, there were already four ongoing investigations by two House committees, the Department of Homeland Security and the Puerto Rican government. So yeah, it’s not a particularly good look for Whitefish Energy or PREPA. The contract states that PREPA could end the relationship for any reason with 30 days notice. According to PREPA chief Ricardo Ramos, the cancellation could delay power restoration by 10-12 weeks. PREPA has already paid Whitefish up to $10 million for services, a total that will rise as crews wrap up their work. The worst part of the whole mess is what it means for Puerto Ricans who, make no mistake, are suffering the consequences. The territory has already endured the worst blackout in U.S. history. More than 1.2 billion hours of power have been lost, deepening a public health crisis and putting a crimp on the economy that could last for decades. To help speed recovery along following the Whitefish contract cancellation, the Puerto Rican government has requested help from New York and Florida as part of mutual aid agreements to get power back online for nearly 70% of the island still in the dark (or running on generators or solar panels). In response, New York Governor Andrew Cuomo tweeted that the state will answer the call. What the Hell Is Going on With Whitefish Energy&apos;s Contract With Puerto Rico?